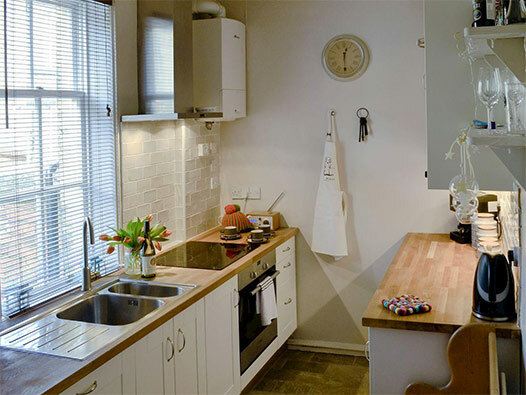 Featuring Overlooker's Cottage and Mill Cottage, both in the heart of Saltaire. A luxurious, rural retreat with spectacular views over Saltaire and the Aire Valley. A cottage style annex with its own private deck and access to a secluded Summerhouse. Tucked away on an ancient Bridleway above Baildon Village, a short distance to the trig-point on Baildon Moor where you can experience stunning 360 degree horizons or spot landmarks up to 40 miles away! It's a great place to "get away from it all" or use as a base to explore the many attractions in the area. A self-contained and characterful Garden Apartment with a private sunken patio and stunning views across the valley. Enjoy the gardens and access to a heated, glazed Summerhouse with viewing deck. Spacious and cosy with original features, Lister is the perfect place to relax and take in the spectacular surroundings. Saltaire World Heritage site is a short drive, Baildon Moor trig point just a ten minute walk and Baildon village, with its traditional pubs, bars, restaurants and shops, close by. 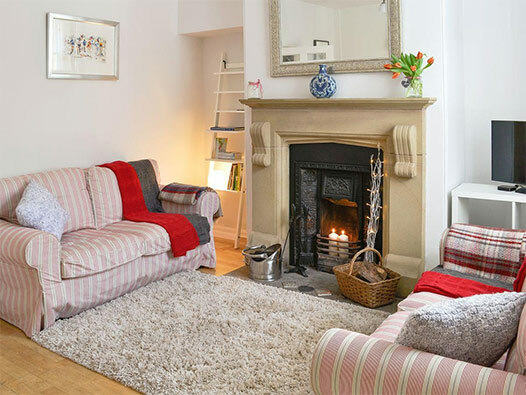 Salts Cottage is a Grade II listed, two bedroomed cottage in the heart of Saltaire, a UNESCO World Heritage Site. Single storey cottage (1 double + 1 single bedroom) situated in tranquil location close to Prince of Wales Park. Available all year for business, relocations or a few days break. A short walk away from famous Leeds & Liverpool canal 5 rise staircase lock. Ideal for walking and cycling. Yorkshire's main attractions are easily accessible. Bingley has a train station which links directly to Saltaire (only 3 minutes away by train, 5 minutes by bike and 10 minutes by car). Lister Hotel in Bradford is based on the outskirts of Lister Park, in the historical area where Sir Titus Salt lived in his early days of marriage. Located within easy distance of Saltaire, the hotel welcomes guests new and old. It has a fully licenced restaurant, family and luxury rooms and free car parking. Prices are per room on a B & B basis, starting from as little as £42.50 per night. 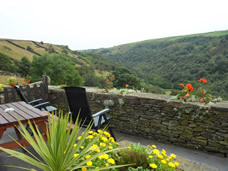 Ideally placed in the heart of heritage rich Bronte country, nestled deep within a tranquil and secluded valley, our luxury accommodation provides the perfect place to relax and unwind. 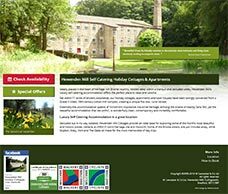 Set in eleven acres of ancient woodlands, the mill and mill workers cottages have been sympathetically converted into five star, self-catering apartments and houses. Four star farm cottages with beamed ceilings and galleried landings in the idyllic Bronte location of Oakworth. Set in the middle of our 35 acre sheep farm with safe parking and stunning views. Only 20 mins drive from Saltaire. Image: View from cottage garden. Located in Shipley but within walking distance to Saltaire. A short walk along the canal to Saltaire. Ideally situated on 200 acres of lush, immaculately landscaped grounds. Spacious, well-appointed guest room or suite; all accommodation features plush bedding, an ergonomic workspace, a flat-screen TV, high-speed Wi-Fi and more. Access to our hotel's cutting-edge leisure club and our tranquil spa. Creatively designed 18-hole championship golf course and top-quality on-site dining options. Those looking to host a business meeting or wedding here in Bradford can make use of our picturesque venue space, our terrific planning services and our hotel's prime location near many destinations in West Yorkshire. Close to Leeds, the Yorkshire Dales and Salts Mill. Make lasting memories at the Hollins Hall Marriott Hotel & Country Club. If you would like to include your holiday accommodation, contact the Webmaster.